Leave a Comment on The Non-League 100: Peterborough United of the ’50s – perhaps the best? IN the 1960-61 season, Peterborough United won the Football League fourth division in style, 28 victories from 46 games, 134 goals scored with centre forward Terry Bly netting 52. Peterborough were in their first season after being elected to the league with 35 votes, a total beaten only by Oldham Athletic who secured 39. Gateshead dropped out of the league after winning just 18. “Posh” were widely regarded as the best team outside the Football League at that time, thanks to their outstanding record in the Midland League and some excellent FA Cup runs. Between 1955-56 and 1959-60, Peterborough won every Midland League title, scoring well over a century of goals each time. The Midland was a strong competition in those days and Peterborough’s team of former pros and rising stars played superb attacking football. 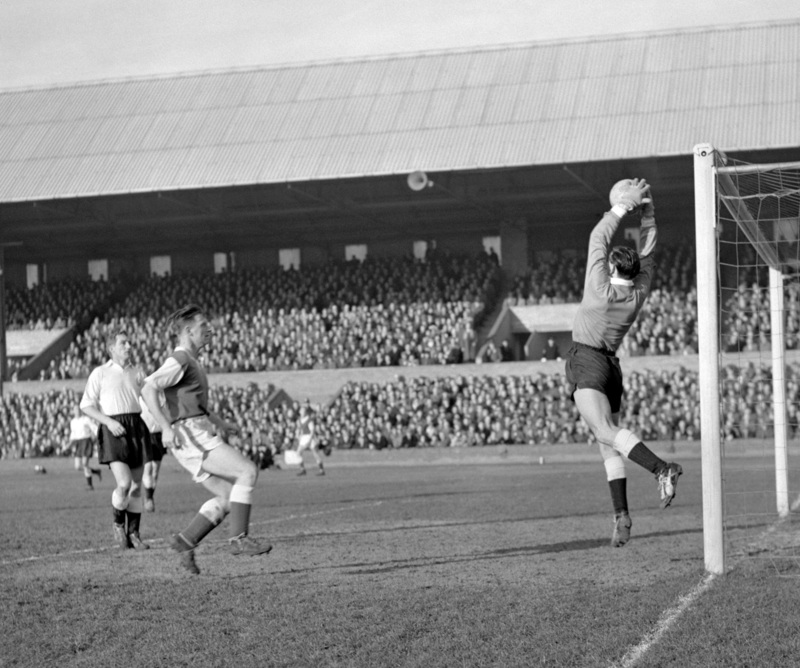 Under the management of former Arsenal goalkeeper George Swindin, who joined the club in 1954 as player-manager, Peterborough won the first of their titles in 1956 and were beaten just twice. They reached the second round of the FA Cup, losing to Swindon Town after a replay. But in the first round, they beat Ipswich Town, then of the third division south.They had already secured a reputation for being a cup team after enjoying good runs in the competition in the late 1940s and early 1950s. Peterborough were comfortable champions in each of the next three seasons, notching-up between nine and seven point margins ahead of their nearest rivals. In 1958-59, with Jimmy Hagan now manager, they remained unbeaten winning 32 of their 36 games and scoring 137 goals. But it was the FA Cup where they made their name. In 1956-57, they reached the last 32 of the competition, beating Bradford Park Avenue and Lincoln City before going down to Bill Shankly’s Huddersfield Town 3-1 at Leeds Road, with the great Denis Law on the scoresheet. Three years later, they reached that stage again, recording a hat-trick of Football League scalps in Shrewsbury Town, Walsall and Ipswich (away at Portman Road) but then bowing-out to Sheffield Wednesday where they put on an stubborn performance before losing 2-0 in front of more than 50,000 people. Posh’s displays in the FA Cup, along with a fifth successive title, were enough to persuade people that they deserved a place in the Football League. The players from that era achieved something of legendary status. Dennis Emery, from Sandy in Bedfordshire, scored 229 goals in 311 games and was voted the club’s second best player of all time in a poll held among the fans. Many fans predicted he would play at the very highest level but a car accident cut his career short. Billy Hails , from County Durham, was a flying winger who went on to work with Graham Taylor at Watford. Other notables included Andy Donaldson, Jimmy Rayner, Ray Smith, Jack Hogg and Peter McNamee. Peterborough acclimatised quickly, winning the fourth division in 1960-61 and finishing fifth in division three in 1961-62. The club’s consistency during the late 1950s and its entrance into the league marks them as one of the best teams to emerge from non-league football.